The concept for Chris Soal’s Imposed Structure to the Detriment of the Members was inspired by materiality – of both cement and the object captured by the sculpture. The relationship between rebar and cement is synonymous. Their use in construction is responsible for the architectural makeup of cities in general. 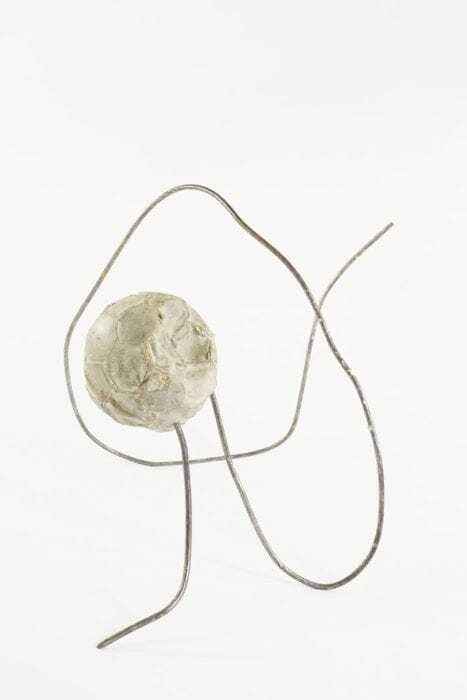 While the nature of this relationship is suggested by their functionality, the relationship between a soccer ball (represented by this sculpture) and cement is more complex. For many children who grew up in cities, the environment is less one of grass, sand and wood than of concrete, steel and tar. 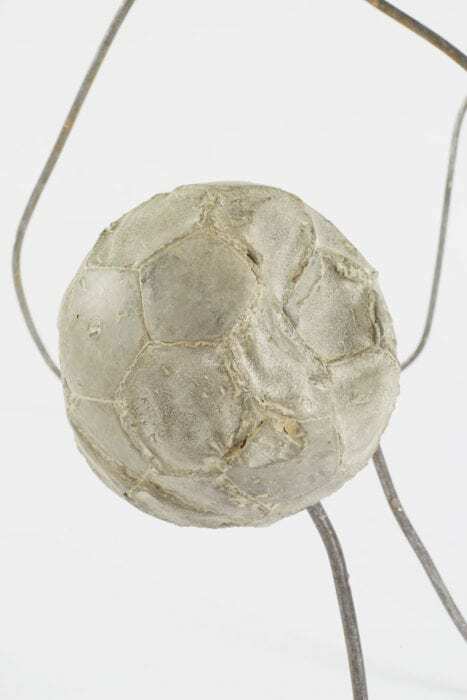 Sports like soccer were played on concrete or tarred surfaces. This environment was not conducive to games: falls were often rewarded with bleeding knees or worse. The aim of this piece was to cast cement into the shape of a deflated and scuffed soccer ball, through which a rebar rod was forced. This sculpture lies on the floor, leaning up against the wall, as dejected, pierced and deflated balls often are. The work speaks not only to the realities of growing up in a city environment, but also to the relationship of soccer to South African industry. One example of this relationship is the 2010 FIFA World Cup. To this day, questions are posed regarding the event’s benefit for the country. This work seeks to explore the textures and associations of cement and, through its form, raises questions about its presence in South Africa.